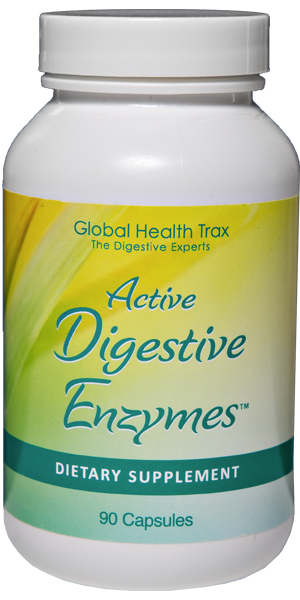 Active Digestive Enzymes has 17 ingredients, all designed to break down your food as you consume it. ADE may help you enjoy more foods with fewer unpleasant consequences. Many people enjoy dairy, spicy food and live their lives without having to avoid their favorite meals. Acid Indigestion: A type of indigestion involving an excess of hydrochloric acid which is produced by the stomach to break down foods, however, too much “burns” the stomach walls. Frequent occurrences of acid indigestion can lead to aggravation of the duodenum or to an aggravation of the lining of the stomach. Heart Burn: A painful or burning sensation in the esophagus, just below the breastbone, caused by regurgitation of gastric acid. Diarrhea: Defined as loose, watery stools that occur frequently. You may suffer abdominal cramping and pain as well. Diet is usually the main culprit when it comes to digestive problems. 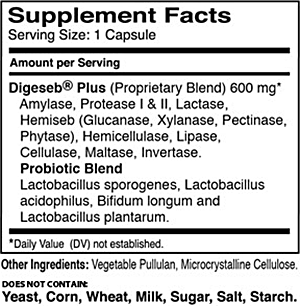 Active Digestive Enzymes may provide the answer.